Dutch Every-Day Layers, Bolton Grays, Bolton Bats, Pencilled Dutch Fowl, provincial Chittiprats, Creels etc. You can always tell when something is very common if it has many names. Dutch Every-Day Layers were a standard hen. Like couch grass is known as twitch grass, scutch, wickens, quick; these were also known as Bolton Grays, Bolton Bats, Pencilled Dutch Fowl, provincial Chittiprats and Creels. 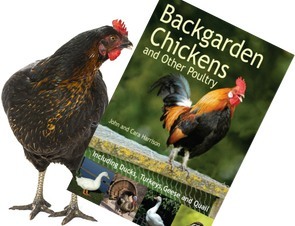 They are a very handsome little fowl, frequently imported from Holland, but seem to have made a stand in Bolton, in Lancashire, from whence they are named, and where they are a strong feature amongst the prize poultry, shown for feather. The ground colour of the Bolton Grays is pure white, beautifully and minutely touched with black, originating the appellation of pencilled fowl. Bolton Bays are precisely the same fowl, but not so abundant, the only difference being, the ground of the feather is a Rufus yellow. The markings or pencilling is precisely the same as in the grays. They are an entirely distinct fowl, both in feathering, size, shape, and markings, and cannot be confounded with any other. The nearest approach to them, is the Silver Pheasant fowl; their markings are, however, decidedly different. They are more generally known, and longer established in England than the Pheasant Fowl, and have been called by various names, in the different localities through which they are dispersed. 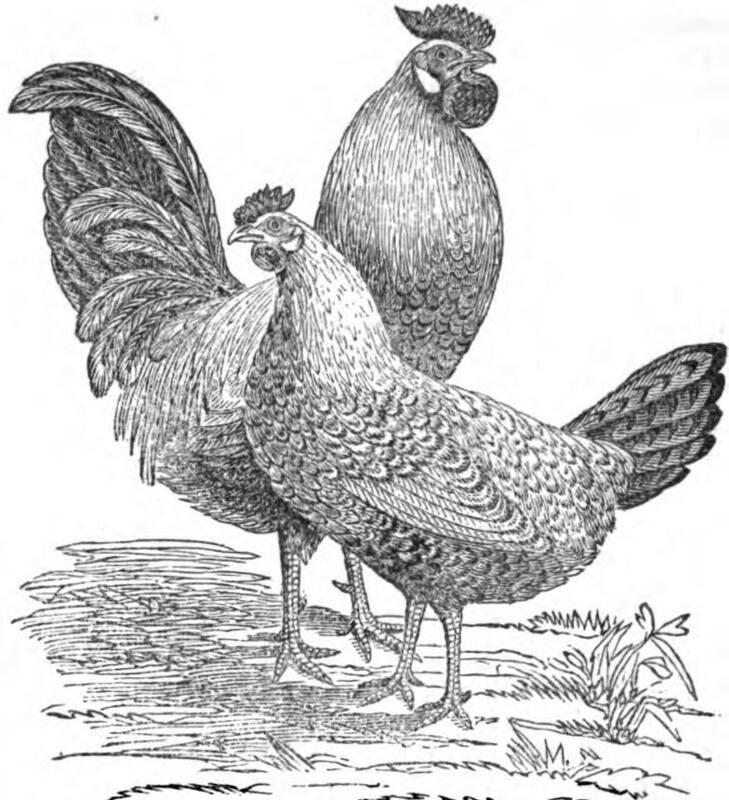 They are a neat, plump-bodied fowl, healthy and hardy, very nice on the table as a substitute for young chickens; their flesh white and juicy; their body plump and round.